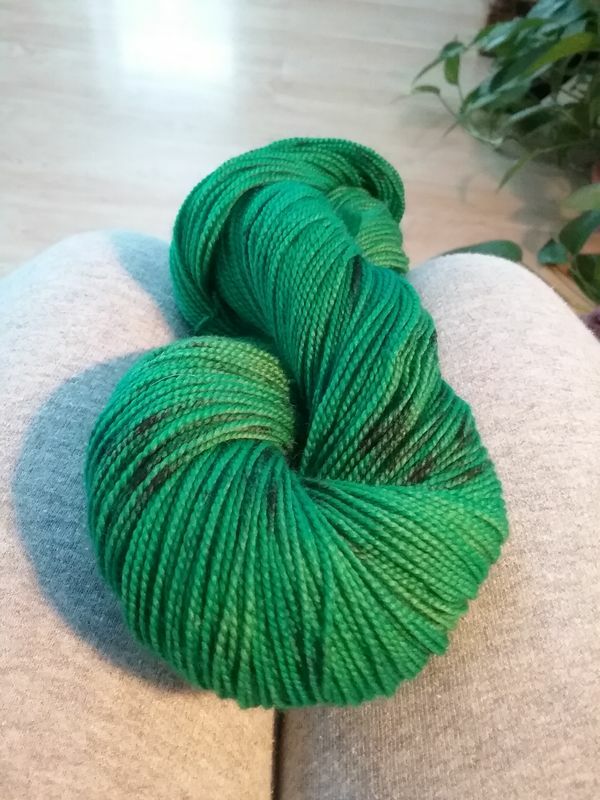 A few days ago I asked for suggestions for an overdye color to use on a skein of green yarn. I decided to go with the blue and am pleased with the outcome, it toned it down quite a bit. Here are before and after pics. Today I'm off on a road trip for the Black Hills Quilt Shop hop, my other "disease" Thanks for looking. Hey, that is a beautiful color. Wow! I really like your new color. Good job. That worked great! I bought umpteen packs of Kool Aid last summer for some dying, maybe this summer. 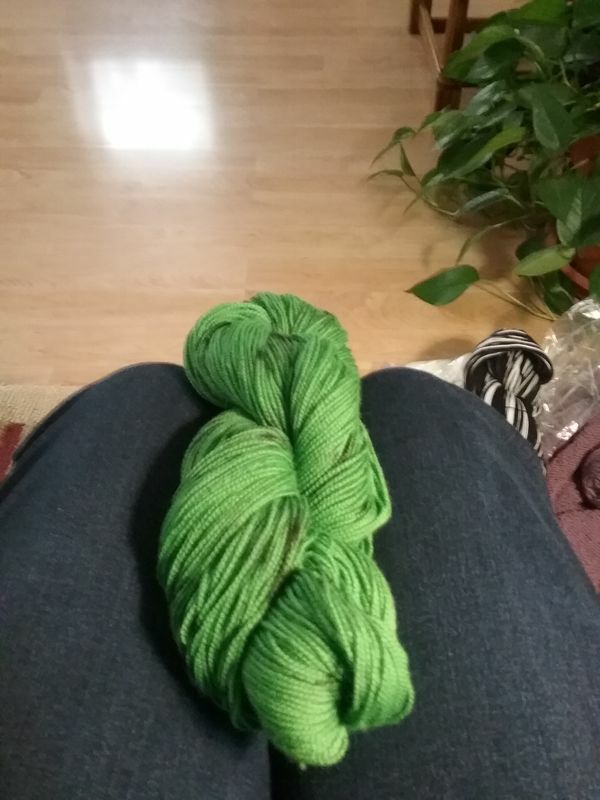 Awesome choice of overdyed color! Beautiful color and a big improvement. Gorgeous outcome! You must be so pleased with your efforts. Thanks for the follow-up!